about having frozen meals in my freezer . Well not until kids were coming and going at all hours for dinner and not every meal I cook at home tastes great warmed up. 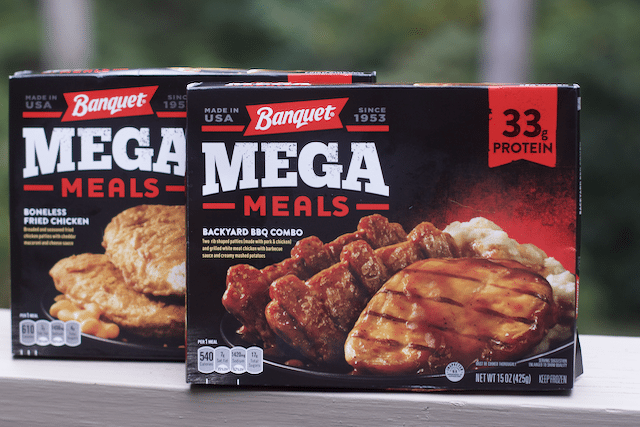 We were recently introduced to new Banquet Mega Meals or Bowls. The Mega Bowls are not yet in my area so we picked up the Backyard BBQ Combo meal. 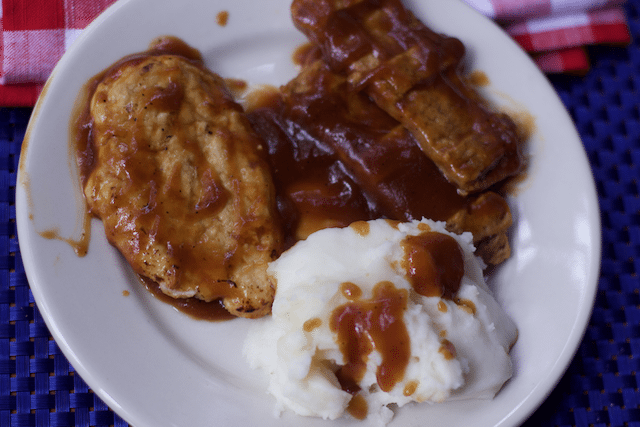 Each meal contains grilled white meat chicken, two ribbed shaped pork and chicken patties and creamy mashed potatoes. But more importantly, each meal contains 33 grams of Protein. 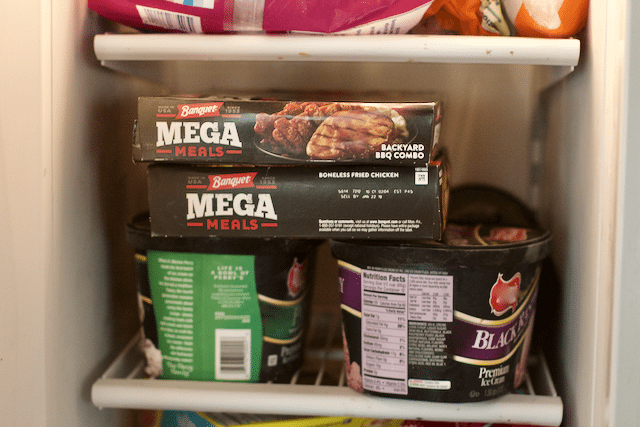 These meals are not called mega for nothing. 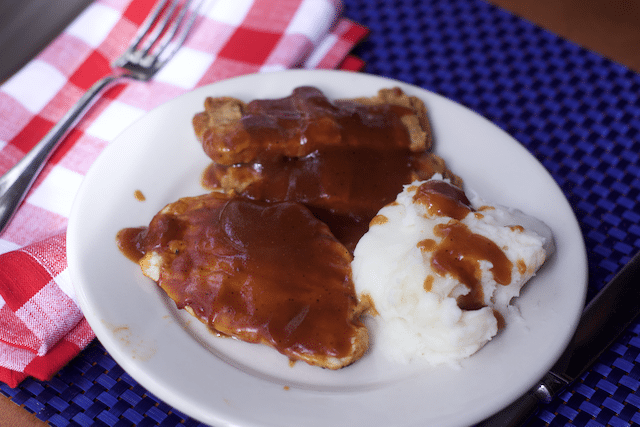 Definitely more than a snack for teens, but would be plenty for a meal on the go. PRICE: you can’t beat the price at Walmart. These meals were only $2.19 at my Walmart, which is faster than any fast food restaurant. My kids more likely would get excited about the other new flavor Mega Bowls that are out but not in our stores locally. Chicken Fajita Mega Bowl: A bowl of chicken breast and ranchero sauce, layered on a bed of rice, and topped with a blend of red and green bell peppers, onions, corn, black beans and cheese. 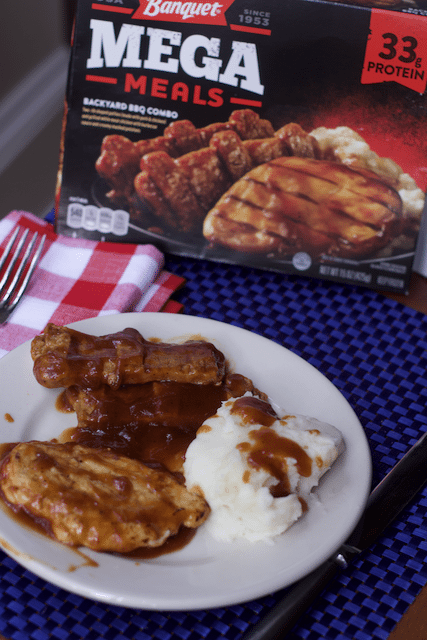 Look out for these flavors as well in your Freezer Section at Walmart. Plus print a coupon. is perfect for those hangry teens.